Appointment with Roland de Courson, a French journalist. 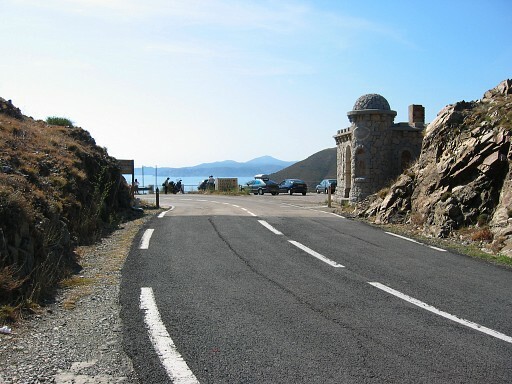 He took us from Banyuls-sur-Mer to the borderpass between Cerbère and Portbou - to bordermarker 600 - for the interview and the pictures. 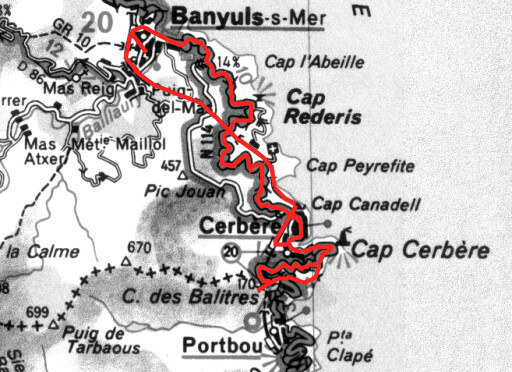 Afterwards Bert and I walked to bm601, descended on a steep path to Cerbère and took the train back to Banyuls-sur-Mer. The interview was published in a number of French newspapers. For example this article , published in L'Indépendant, 22 august 2003. With journalist Roland de Courson (right) and me. 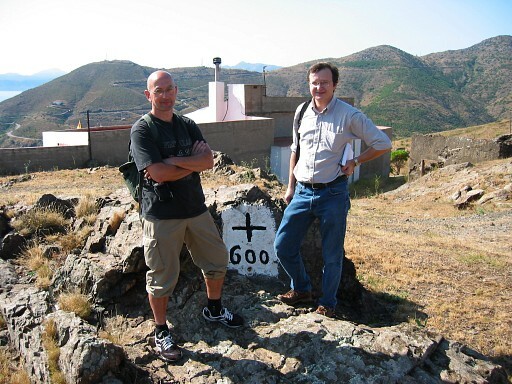 After the interview we followed the borderline eastwards to this bordermarker. 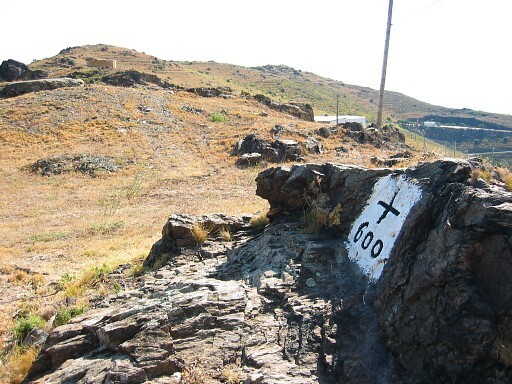 The concrete pillar is a geodesic marker. 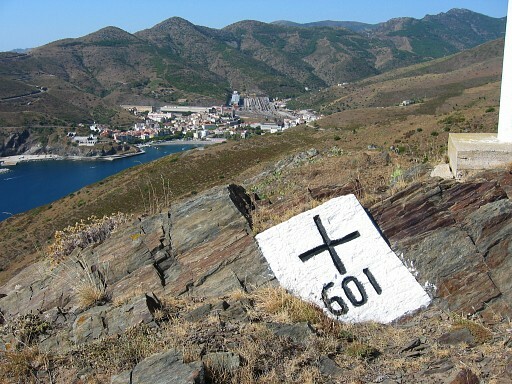 With a view of Portbou. From somewhere here, we followed a steep path leading to the (French coast). 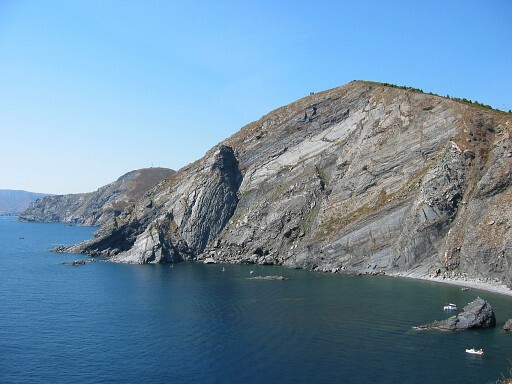 And from the coastline we could observe the bordercliff descending steeply to the sea. Roland told us that there should be a bordermarker 602 in a submarine cave or something alike where the borderline meets the water. 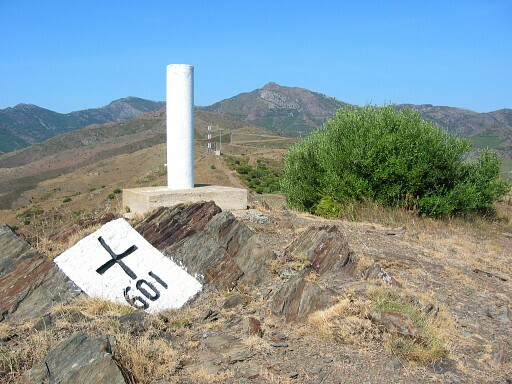 An intruiging fact: the only submarine bordermarker I've ever heard of. And how to access the very spot? Anyway not by foot, the coastline being to steep.